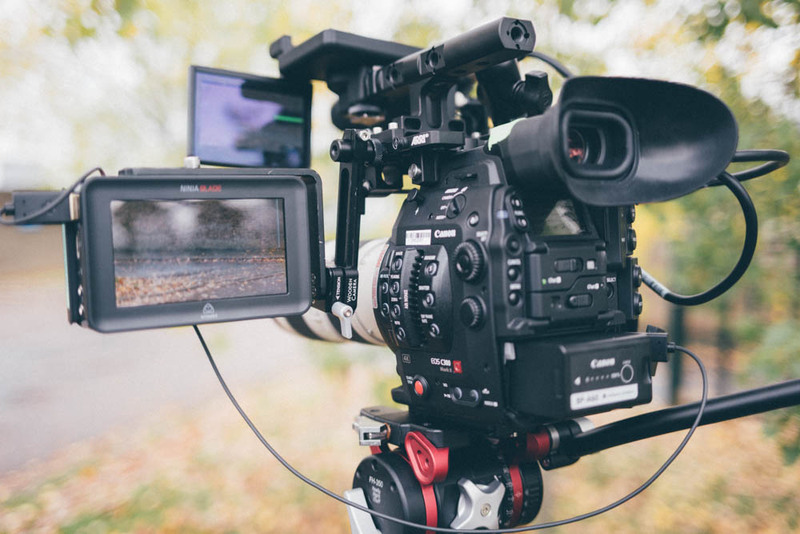 There’s a lot of information starting to circulate on the Canon C300 Mark II as it finds its way into the hands of owners. I’ve had one in for the last few days and wanted to share some fresh thoughts as a working operator. We know Canon has a good track record for color rendition, great single operator ergonomics and have all heard about that revolutionary new auto focus system. But how well does it actually function as, a camera? How well are the new features implemented, how intuitive is the menu? 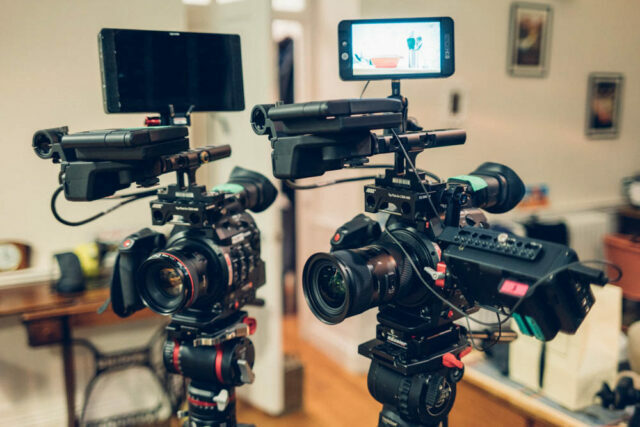 I spent a few days with two Canon C300 Mark IIs; in this article I will share my findings from a working operators point of view. Lets start this off by first saying this is not an official review. 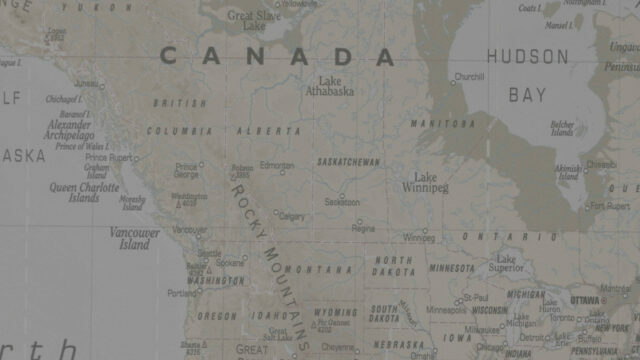 Having only had two cameras with me for a few days (most of which was spent on the job/in transit) I haven’t spent anywhere near the amount of time it would take to cast a full review worthy opinion. That said, I spent the little time I had spare with the cameras productively inspecting every aspect of the menu system and button layout, as if it were my own. I’ve been looking for an in-house camera to replace my Canon C100 mark I for a while. 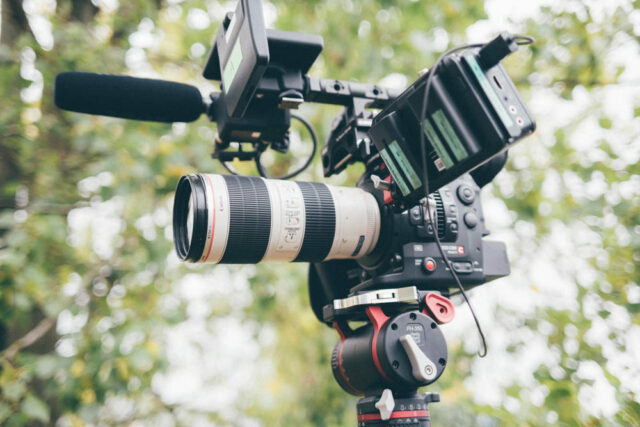 Like many, the Sony FS7 and the Canon C300 Mark II are close to the top of my list. And like many, I’ve been trying to justify where the over 100% increase in cost comes with the Canon. I’m not going to go over the same information that you can already find on the Internet. The spec can be found here, here’s the manual, here’s what we found when we did a lab analysis of the image and yes, the auto focus system is very impressive and will revolutionize the way many shoot. So lets get started, and to kick things off I’ll start with what I liked about the C300 Mark II. OK, so lets give this feature a little more credit than a passing comment at the end of a paragraph. The auto focus system is great, if you’re familiar with the old Dual Pixel AF you’ll appreciate it’s potential. I want to highlight the new Focus Guide feature. I’d heard about this a little in passing comments, but using it for 2 days on a shoot I can really see it’s worth. It’s a bi-product of the intuitive Dual Pixel AF system. 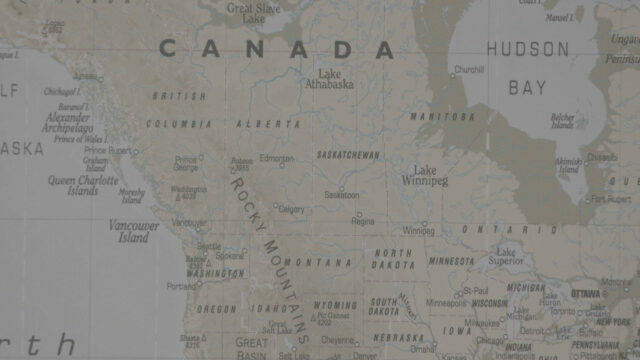 Activating it gives you a little square on screen that signifies the area in which the system is monitoring for focus. Turning the focus wheel on your AF EF mount lens will display two markers that move in an arc shaped dial. When the focus is on point the box will go green. 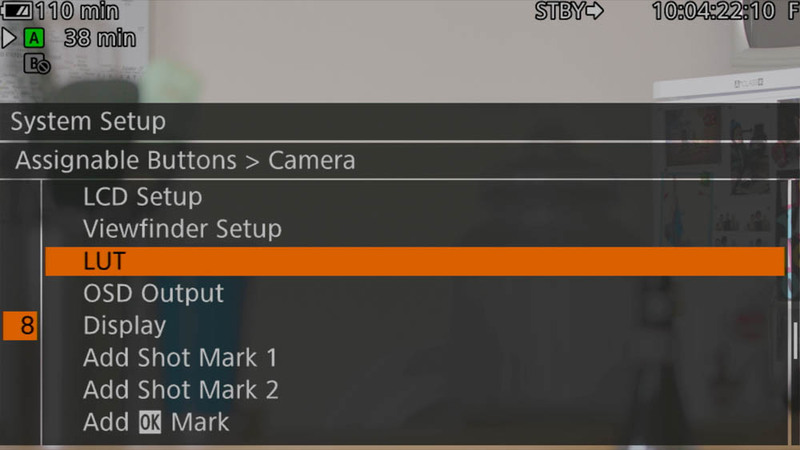 What’s great about this is the fact that when activated you can tell which way you need to turn the lens barrel to hit focus (markers sit above or below the box depending of fore/aft focus correction). I found this really helpful when in an interview environment and wanting to re-adjust focus, hunting would ruin the shot but with this feature you know exactly which way to adjust. Canon have Focus Guide set to the custom function button on the handle, and once activated you can use the joystick to navigate to your desired position on the screen. This was of the reasons I got these cameras in for the job I did and is a features that has been skipped over a little since announcement. Many (including myself) have spent their time complaining about the lack of 4K 60p, but the inclusion of FullHD/2K 12bit 4444 is a very welcomed feature. It’s for great green screen and one that I’ll probably use more myself than 4K 60p, although I still think it’s a huge oversight to exclude higher 4K framerates and would like both features in my camera, please. Here’s a shot from my shoot, key at your hearts content (TIFF download at bottom of page). Sifting through the menu system I found this a nice feature, custom markers displays. You have your standard grid lines, centre crosshair and aspect ratios. But navigating further down and you’ll find a custom button for your own aspect ratio. There has been an overall improvement in terms of onscreen displays. 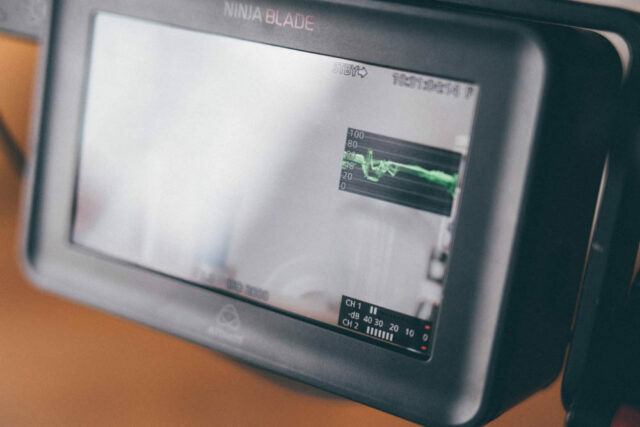 Many complained that the mark I EOS cameras (both C100 and C300) didn’t display the waveform monitor on outputs (SDI, HDMI and even the inbuilt EVF) but you can now choose which output you wish to view WFM on (and which you don’t) and this translates to all assisting display features; WFM, peaking, Zebras etc. 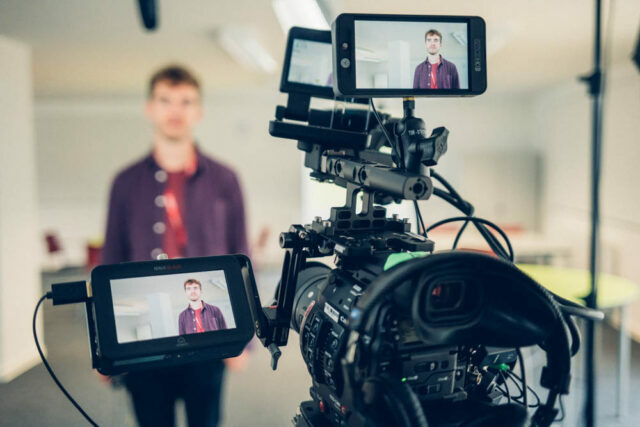 An overlooked feature in many existing cameras and monitors is the ability to monitor what you are recording, not viewing. 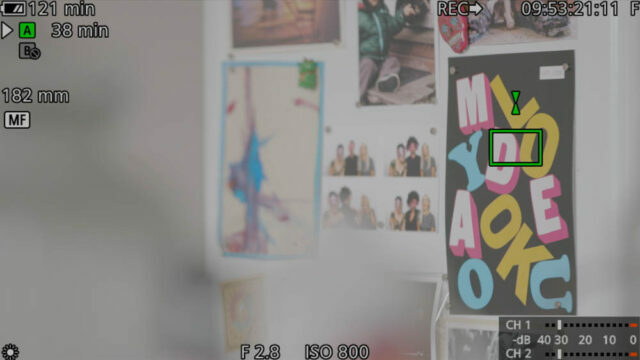 When you are shooting LOG, but viewing a LUT you’ll know by the color shift of the menu and a little overlay on the screen (not to mention the fact that the contrast and colour of your image will change) but the most important aspect of this workflow is that your Waveform Monitor adheres to the recorded log, not the viewed LUT. 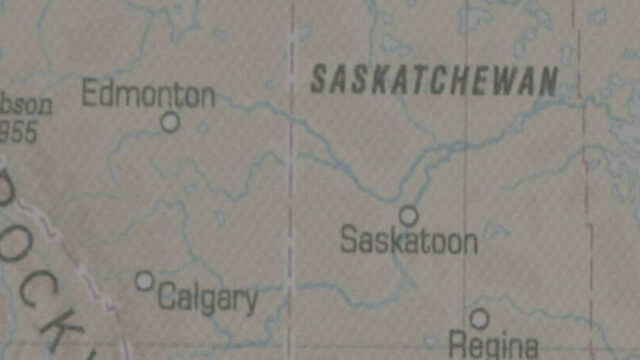 Here is an image below of the camera recording in Canon C Log 2, but viewing a BT. 709 LUT, notice the WFM with a little overlay explaining it’s reference to log, nice. Another LUT/log related feature I like is the inclusion of LUT enable in the assignable buttons menu. This means you can switch on/off your LUT with the press of button of your choice; I also found the inclusion of OSD (on screen displays) very handy in this list. 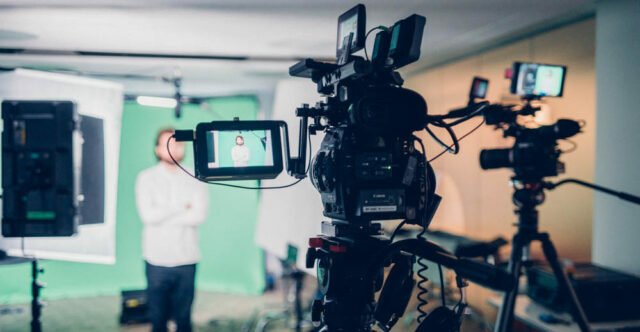 On set I can often find myself referring to bigger/better monitors for the most part of operation (compared to camera screen), which can often be shared by an output recording and/or viewed by other crew members and/or the client. For both these reasons it is not possible to have your OSD on this output, so you often have to switch back to your inferior on-camera monitor to check settings before recording again. Having the OSD on/off by one button is a really nice way to quickly check them on your output before hitting record; the same applies to switching between your LUT and your log. It’s a shame I have to talk about this sort of feature as a reason I like a specific camera, I feel every camera should have every feasible feature accessible via assignable buttons as it completely personalizes the user experience. 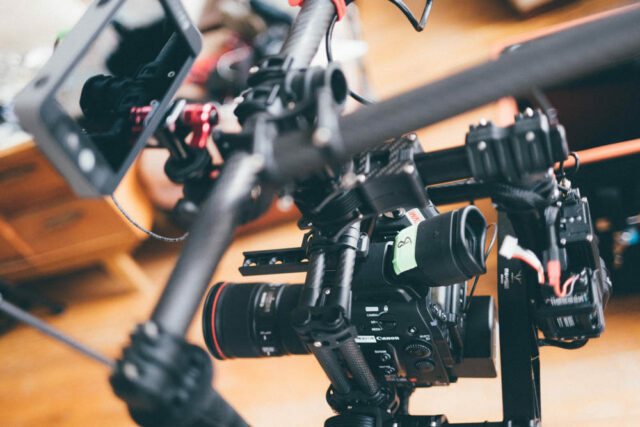 Unfortunately this is not the case for the C300 Mark II as with 90% of other cameras on the market; not all features are available on the assignable buttons menu. 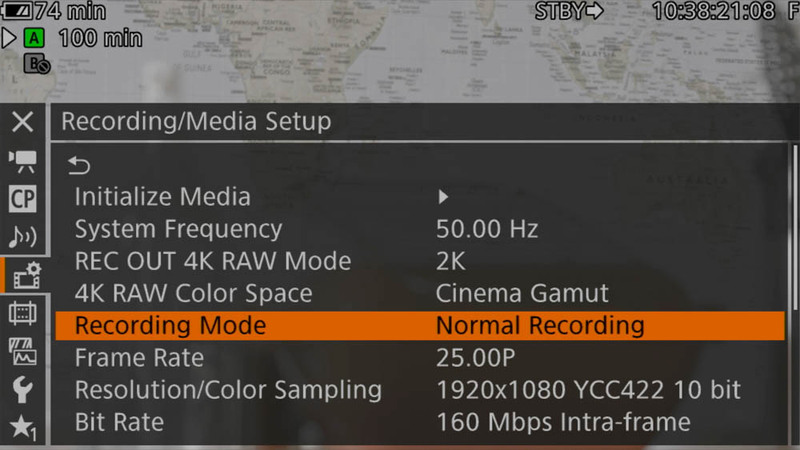 The audio options on the camera isn’t too surprising, 24-bit audio is nice and you can change all settings in the designated audio menu and most physically on the audio/monitor module. Like previous EOS cameras you have the ability to choose what Channel 2 records (it’s own channel or a clone of channel 1). Cloning Channel 1 still gives you independent control on Channel 2 however. This feature may have been on the C300 mark I, so forgive me if this is old news but as a C100 Mark I user I found this feature handy. It means that you can record a source on Channel 1 and set your levels, then clone the input to Channel 2 at which you’ve set a few db lower for redundancy in case there’s a spike in your input and you haven’t time to adjust your levels. These are just a few of the features I selected as things I liked about the C300 Mark II that you wouldn’t find in usual online information. 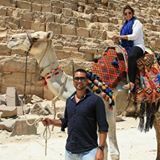 You have to experience the camera first hand to discover the little gems hidden in the menus or work out how the software works for a given feature. Speaking generally about the camera I am a big fan of the ergonomics, like previous EOS cameras it sits well in the hand (despite being a little on the heavier side). I really like the proxy recording to SD cards too, as well as the prospect of using a more advanced Dual Pixel AF for gimbal use (more on that below). That said there’s also many things I don’t like about the camera. I’m a bit of a pessimist with kit, I always expect more from it, whether it’s a tripod, monitor, camera etc. I therefore wasn’t surprised that I spent most of the two days that I was shooting with the C300 Mark II complaining about a lack of this & that, the placement of that button, the hard to find feature buried in the menu etc. The lack of 4K 60p is a big blow for me (like many), the price is also another big factor, but keeping this article on track here’s some specific quirks I found that I wasn’t immediately expecting. This is perhaps something you could have predicted ahead of working it out for yourself, but just so you know Dual Pixel Autofocus does not work in slow motion mode. I guess this is down to the additional processing involved when sampling more frames and processing AF information. That doesn’t mean you can’t achieve off speed auto focus however. 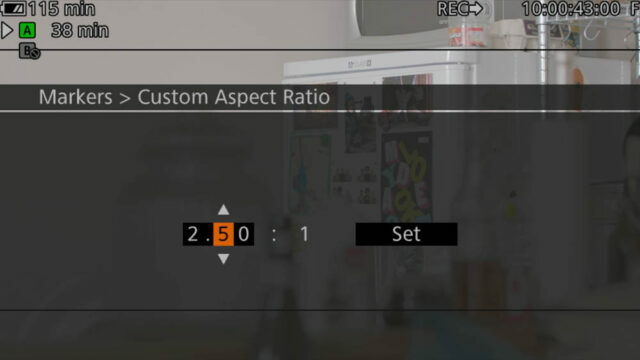 The camera shoots up to 50/60p in normal mode (contrast to slow motion mode where the camera conforms higher framerates to your working framerate) and Dual Pixel AF works in this mode. 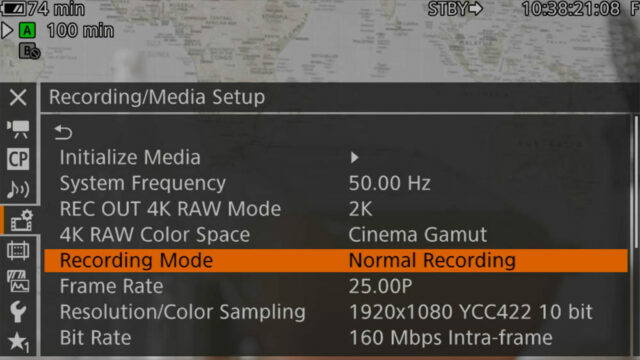 As with many other cameras with high framerate options, audio is also disabled in slow motion mode. I found this very odd, and still scratching my head thinking, “am I doing this right, there’s surely a way?” but you can’t access slow motion via a single button press. Sony has had this feature on the button for a long time (FS100 comes to mind but probably before that also). You press S&Q, it goes into slow mode and you can select your framerate, simple. Not on the C300 Mark II, you have to go into the menu and change the recording mode to slow motion. Once in this mode, there’s a specific button on the side that when pressed you can choose your desired framerate; out of the box, this button serves no other purpose (it’s an assignable button also so can be configured to anything on the custom function menu). Why it doesn’t activate slow motion mode first is beyond me, and to top it off your Recording Mode doesn’t feature in the assignable buttons menu so you can’t set the shortcut it manually. The closet you can get is placing Recording Mode at the top of your My Menu (a custom menu that allows you to add pretty much any feature to it), and assigning My Menu to one of the custom function buttons. This was a feature I just assumed was in the camera, but at the time of writing this the Canon C300 Mark II does not support custom LUTs. There are 4 LUTs installed on the camera: BT.709, BT.2020, DCI and ACESproxy10. I can see exactly what they’ve done here, they’ve included relevant LUTs to correctly display gamma on various different monitors, both current and future. I’m sure Canon will argue this is the correct implementation of Look Up Tables. I feel this is the bare minimum however; LUTs have evolved from this in recent times. They’re more than just a profile to display a correct image. Both the Arri Amira and Sony FS7 support custom load LUTs and provide a decent stock LUT pre-loaded on the camera. You can record the Rec 709 LUT on the Amira and the LC (low contrast) Rec 709 LUT on the Sony FS7 and yield results that are good out of the box to look at and record to, with a little room for tweaking in post. 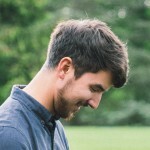 The advantage of this over just selecting an appropriate picture profile is that you can still record log to the internal cards/external recorder as a backup should you require extra post processing for incorrectly exposed/white balance images, or if you wanted to revisit a project when you have more time and apply a more dynamic grade. I’ve gotten used to recording dual system on larger projects: log to internal cards and a LUT to an external recorder. It’s great for the above reasons plus puts your rushes in a ballpark as to where they should be for the grade, which is useful if handing over files to a different editor. In my opinion, you cannot do this with the in built LUTs on the C300 Mark II. It’s clear they are designed merely to correct the gamma curve for correct viewing. There are of course work arounds; use LUTs as they were originally intended and shoot with a single and correct picture profile to start with, and/or loop out of a monitor that supports custom LUTs. I thought Panasonic were really onto something with their move-at-the-touch-of-a-finger waveform monitor on the GH4. A waveform monitor (WFM) takes up a lot of real estate on the screen, the inability of being able to move it on screen was a feature I felt was missing on the C100/C300 Mark I (it’s big and actually covers up the audio levels on the C100) and it was a shame to not find there was no change on the C300 Mark II. The waveform monitor when active resides half way up on the right hand side of the screen. You can’t move it, only turn it off. 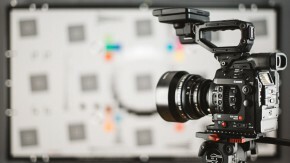 No biggie, maybe Panasonic and SmallHD spoilt us (you can move it on the 502, too). 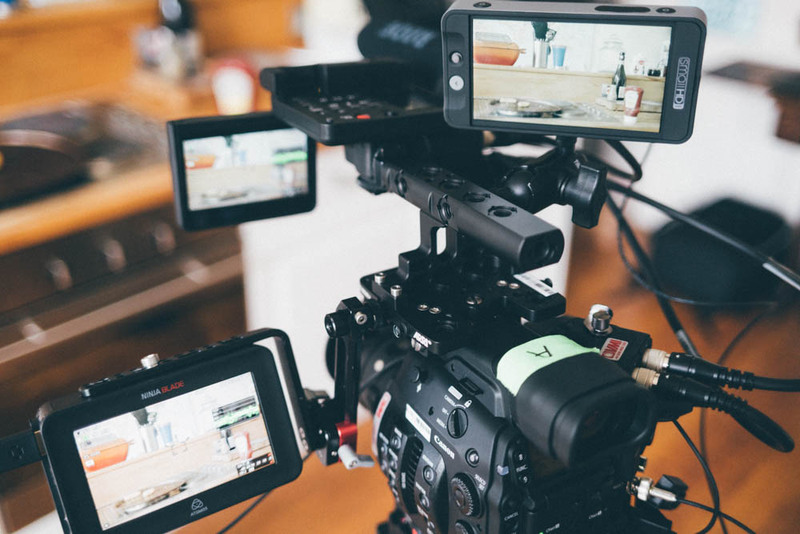 The Canon C300 Mark II has two SDI outputs, one HDMI port and one proprietary video connection for the monitor module. I find it a little frustrating to find the HDMI and two SDI ports are not simply three independent outputs; one SDI is labeled Rec Out, the other Monitor Out. This means that only the Rec Out SDI can display OSDs (on screen displays) to which the HDMI port is paired with. 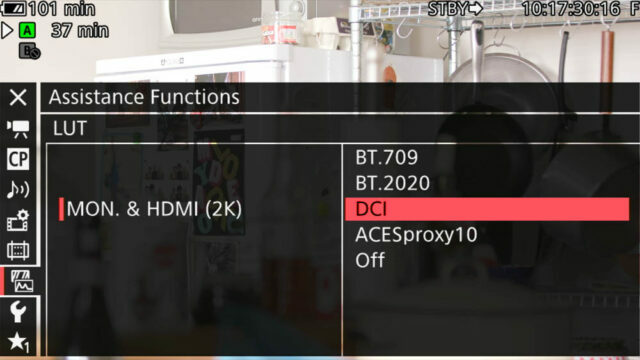 This means if you want OSDs on SDI 1 (or Monitor Out) they’re on the HDMI feed also. There’s usually a work around with your monitors, especially if more than one of them can cross convert signals. But working out which monitor should go on what monitor/recorder is brainpower on set that I’d rather spend on something else. 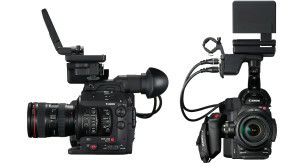 The Sony FS7 annoyingly is similar in grouping outputs. I’d prefer a stand-alone menu that labels each of the 4 outputs independently (SDI 1 & 2, HDMI and camera monitor) and you simply select which ones are active, feature OSDs and LUTs. You’ll be delighted to know that all these features are hidden on different menus on the C300 Mark II. LUTs are buried in with exposure/focus assist, OSDs and port activation on another. This is an extension of the former point; due to grouping certain outputs you can’t use Perimeter View on the camera monitor and receive a clean feed on HDMI or SDI 1. Perimeter View mode is a lovely feature on the C300 Mark II that shifts all-important overlays to the edge of your screen. This creates a nice un-interrupted view of your image on the same screen that is displaying your OSD. 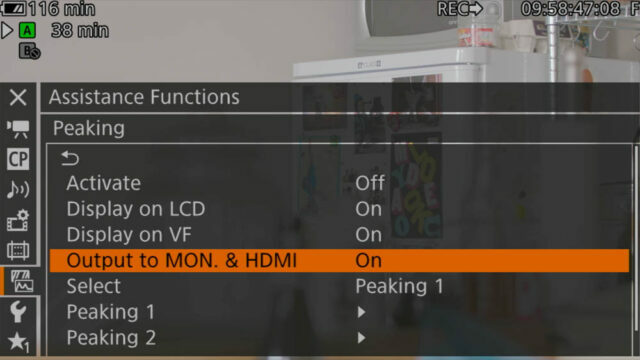 However when active it sends a letterboxed image to SDI 1 (Monitor Out) and HDMI even when OSDs are turned off; a problem if you want to record via the HDMI and use this mode. 6. The Battery Charger Is Huge?! I won’t get too hung up on this as the batteries have doubled in voltage to 14.4V and the unit charges two simulteanously, but the size a consideration for travelling shooters. The charger is a chunky slab and like the C300 Mark I there’s a separate AC adaptor unit. 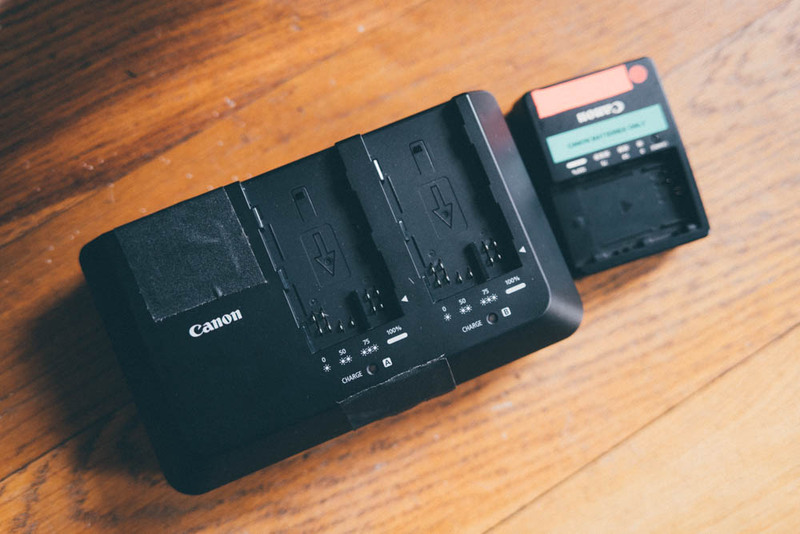 Here’s the charge next to the popular LP-E6 battery charger for Canon DSLRs. The C300 Mark II makes a fantastic gimbal camera. 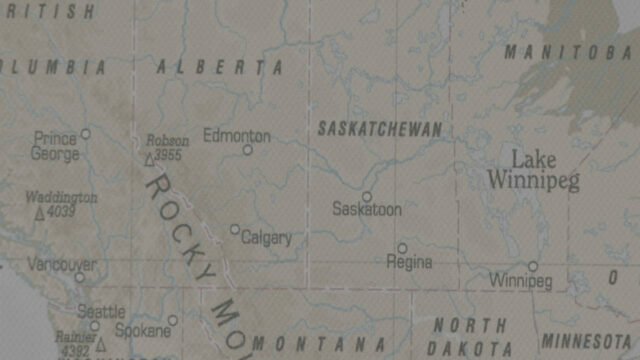 The Dual Pixel AF provides face tracking detection, as well as movable zonal AF (select the position of your AF zone by toggling the white box around the screen). It’s a big upgrade from the C100/C300 Mark I that only offers a static, small centre portion of the screen as an active AF zone. For those wondering about whether the C300 Mark II fits on the Movi M5, the answer is both yes and no. The listed payload for the Movi M5 is 5lbs, however it’s been documented in the past of being physically capable of more, capped by fewer components then you may think (it shares the same motors as the larger M10). Here’s the C300 Mark II with the 16-35mm f/4 IS lens, single Cfast card and Really Right Stuff EOS C Arca Swiss plate. Converted that’s 6.2 lbs., 5.8lbs if you go with the BP-A30 battery. The Movi seems to take the weight just fine, balancing and tuning took little effort. 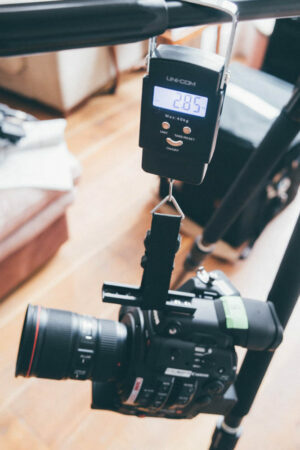 Unfortunately unlike the C300 Mark I, the EVF is not quick release. I opened it up to have a look how easy is it to remove and it involves detaching two ribbon cables, so not ideal. I’d consider the option of extending the Movi cradle arms a little forward. You’d need less than an inch to make this setup work. The smaller BP-A30 battery also fits the profile of the camera body so won’t protrude like the above BP-A60. Unfortunately this was the only sized battery the hire company supplied. Of course smaller, lighter lenses would mean the camera sits further forward therefore creating more room at the rear. I’m sure a Pancake lens like the 24mm STM would result in a fuss free fit. I’d say cine lenses are out of bounds for the M5 and C300 Mark II; the camera would sit too far back and it would likely enter nervy territory extending the arms of the Movi that far forward. In order to get the top cage of the M5 to fit as pictured you need to upgrade the 8” rods to 10” rods. These give you enough height to clear the top of the camera (you need these for all EOS cinema cameras including both C100s). For me operation is a huge factor when considering a camera, it’s one so many people over look and as a result there’s less online information about this sides of things with cameras (hence this article). With this said, I didn’t have much time to spend testing the image side of things for the public eye. I plugged it into my Atomos Shogun; on the latest firmware the C300 Mark II is listed in compatible raw cameras for the recorder. 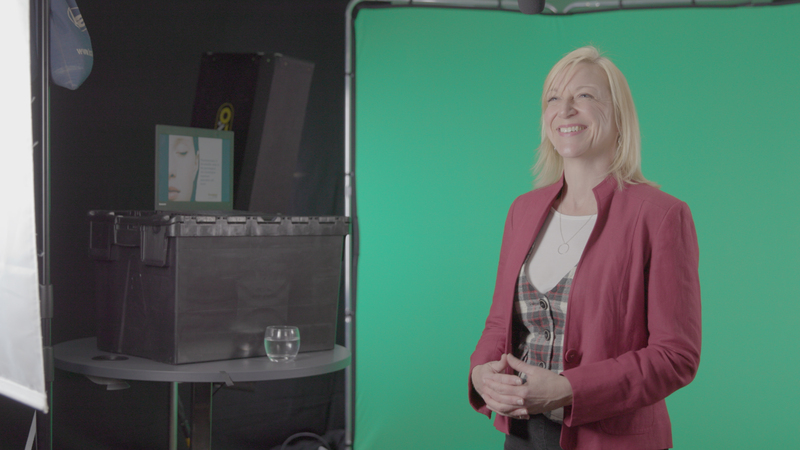 It indeed accepted a 4K raw feed just fine, below is a JPEG of a frame grab taken from the ProRes HQ recording of the Shogun. C-Log 2 ISO 800, F/2.8. TIFF download at the bottom of the page. 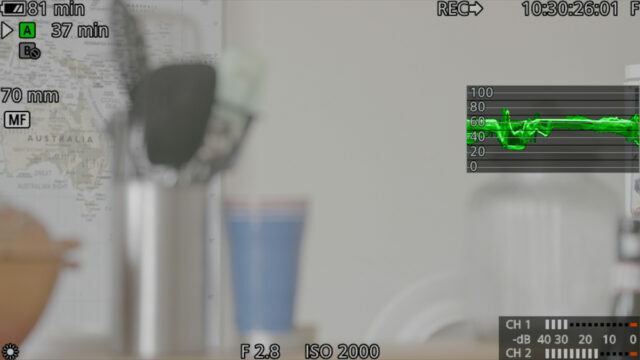 And here’s a very quick test looking at the crop factor of the slow motion mode. It’s a very brief and unscientific test (100 & 200mm focal lengths on a zoom lens will have discrepancies) but I want to roughly see how close/far out they were. Settings for all are C-log 2 ISO 800, f/2.8 on a 70-200 F/2.8 IS II. You can see a slight dip in quality on the 100p frame at 400%, and technically it should be sharper at 100mm compared to 200mm. I’d like to do some more testing on the C300 Mark II particularly in terms of the image. Real world slow motion and dynamic range would be top of my list as well as some Movi M5 and Dual Pixel AF fun. Due to our extensive lab test for dynamic range that you can check out here, image quality wasn’t on the top of my list for tests with the short period I had the cameras. Spending a few days with the camera hasn’t provided my quest for a new camera body with any more clarity, but it’s answered a few questions surrounding Canons latest offering. I hope you found my thoughts of some use, if you have any questions regarding the C300 Mark II please ask below and I’ll do my best to put my 4 day experience with the camera to some use. 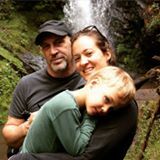 If you’ve already used the camera and have noticed any quirks or gems of your own, please share them. 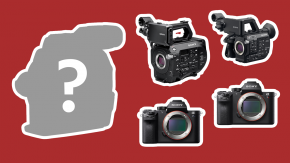 It would be great to hear some alternative views on what is becoming a very talked about camera. Sorry I didn’t check any playback features. Hi Tim! Thanks for the reply. I’m guessing it’s not something a lot of people will notice. 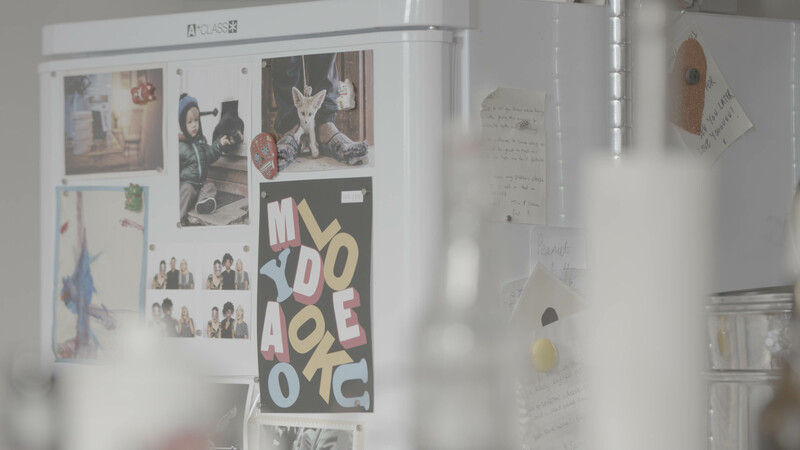 U can view lut on playback. Top article. It’s nice to see all the little things talked about in detail. PDAF is not something new nowadays,even GH series has highly efficient AF 4 years ago. Unfortunately there are very few STM lens for users to choose now. Ever heard of Canon USM L lens? 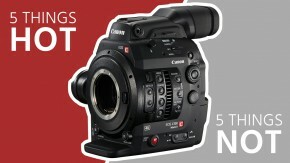 Why would you use a Canon non-stm lens with the C300. No one is going to use a cheap AF lens on the C300 MKII. If USM is enough ,why canon bother to make STM len? -There’s 5 STM lens, all of them use lesser good optics. 3 of them are EF-S.
-Not sure why I would even consider a EOS M when there’s the Sony, Fuji, Panasonic around. The AF in the A7R II is really good, will be covering in an upcoming article also. The problem is controlling AF off the camera. On the EOS cameras you can simply relocate the handle, Sony Alpha series not so easy unfortunately. I’m hoping a little exploration into the FS7 handle will be successful but initial research suggests custom functions buttons don’t work. I was referring to getting it completely off the camera and lens for gimbal work, that’s where AF really shines for me. Yes you can assign it to a custom button on the body, but it’s that assignable button off the body and on a separate handle that in looking for. Depends on timings, I may not have a C300MK2 body at hand to do a side by side, but if it’s possible I’ll try. This is an adavanced AF made for Video! You have options to selected the response of the AF. 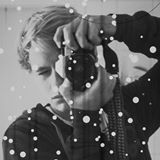 Just don´t compare it to GH4 or somthing like that. Even if they are in focus they somethimes to a quick hunt or so. Give it a try and you will see! PDAF (Phase Detection Auto Focus) and DPAF (Dual Pixel Auto Focus) are not the same thing (though the latter is a version of the former). Working professionals who have tested the C300 mkII autofocus functions say they are above and beyond what’s available elsewhere. 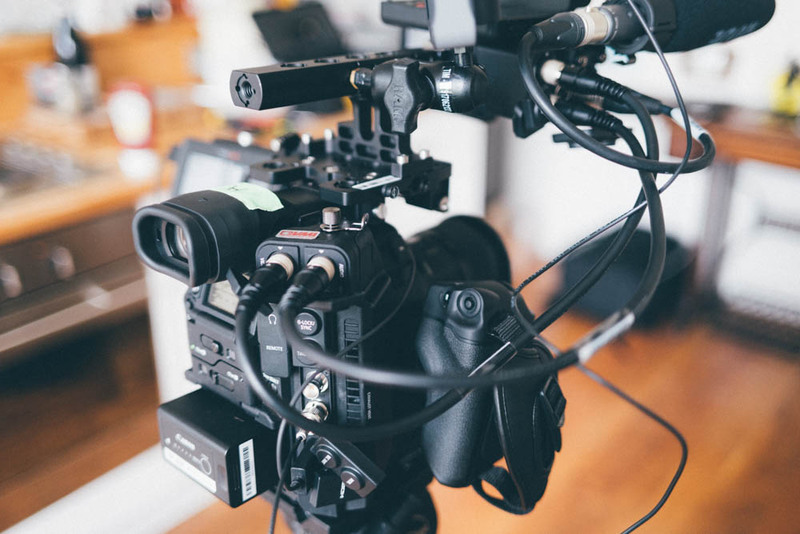 As has been previously stated, the AF on this camera is specifically designed with video operation in mind (for instance, the ability to lock down a “Main face” for the face-detection, the 80% sensor coverage, the ramping of AF speed etc.). 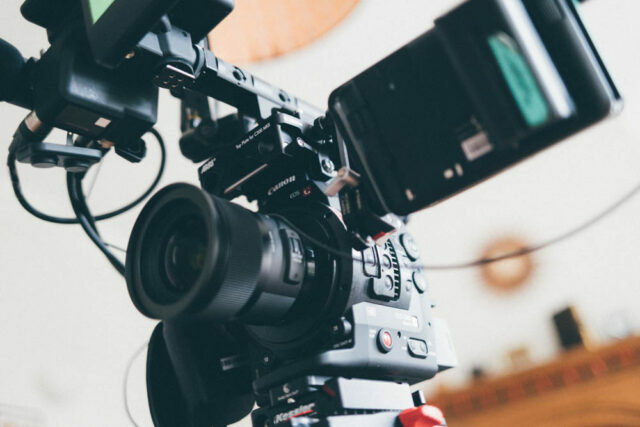 Sometimes implementation is just as important as the tech itself – and in this case Canon have the better tech with better implementation. 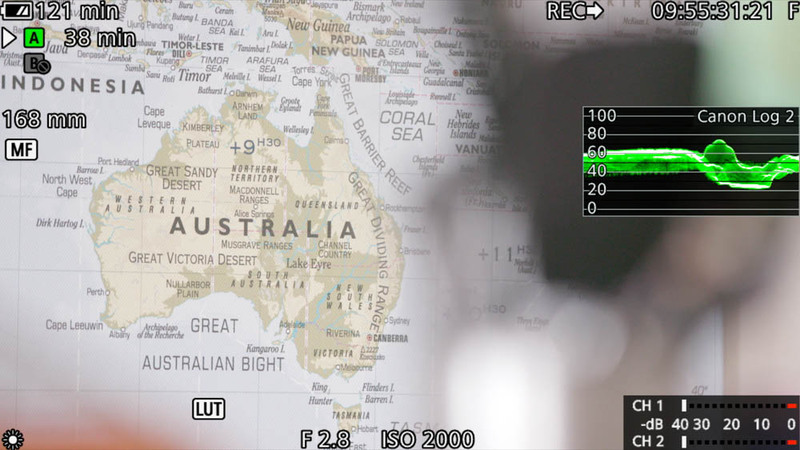 Here is a basic comparison of the (face detection) autofocus on C300 mrkII and the Sony A7S II. You be the judge. simple, the canon’s af seems to be fairly fenomenal,vs the Sony’s one that truly struggles.